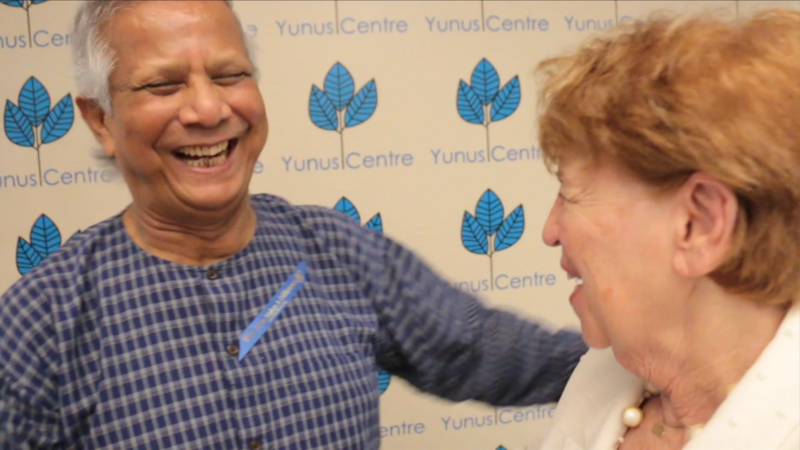 2017 – Bangladesh “Grandma Sparky” invited to honor Nobel Peace Prize Winner, Muhammad Yunus, social entrepreneur, banker, economist, and civil society leader who was awarded the Nobel Peace Prize for founding the Grameen Bank and pioneering the concepts of microcredit and microfinance. 18. 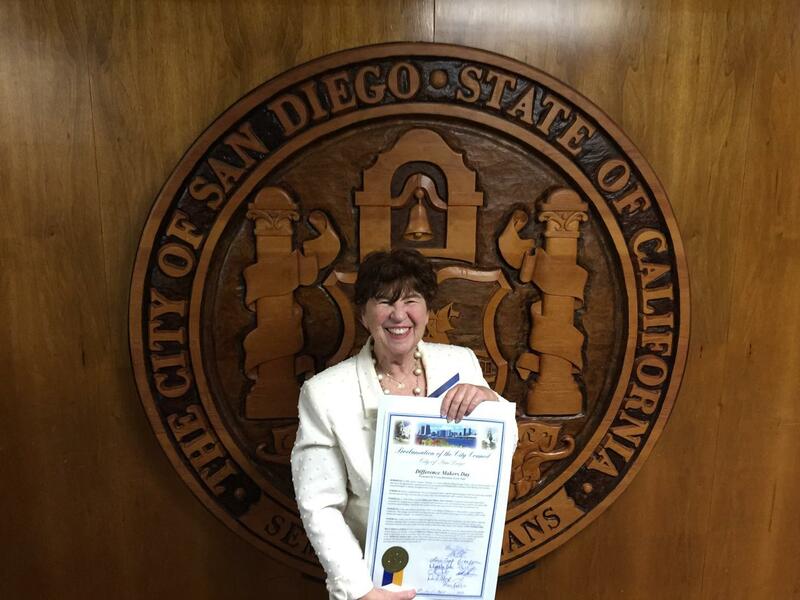 Helice “Sparky” Bridges aka “Grandma Sparky” receives Proclamation declaring Difference Makers Blue Ribbon Day for San Diego. 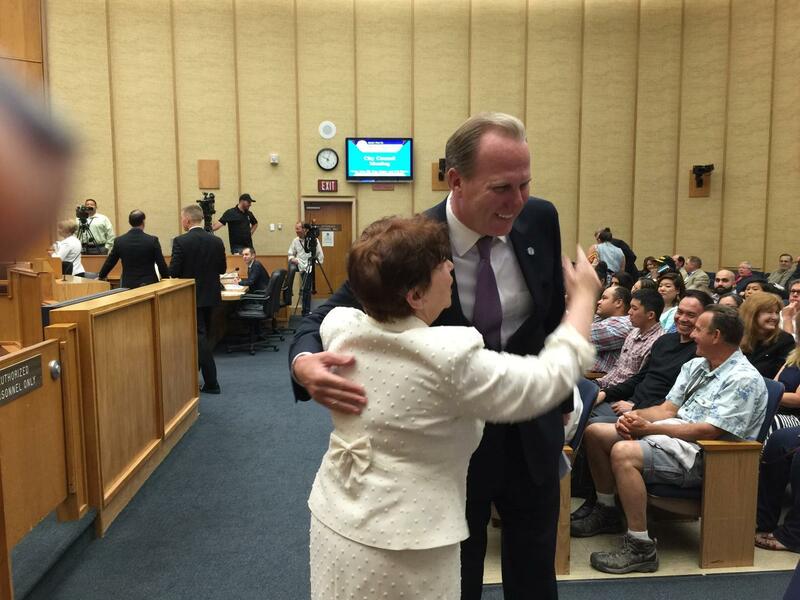 San Diego Mayor Kevin Faulconer hugs “Grandma Sparky” after receiving Proclamation. 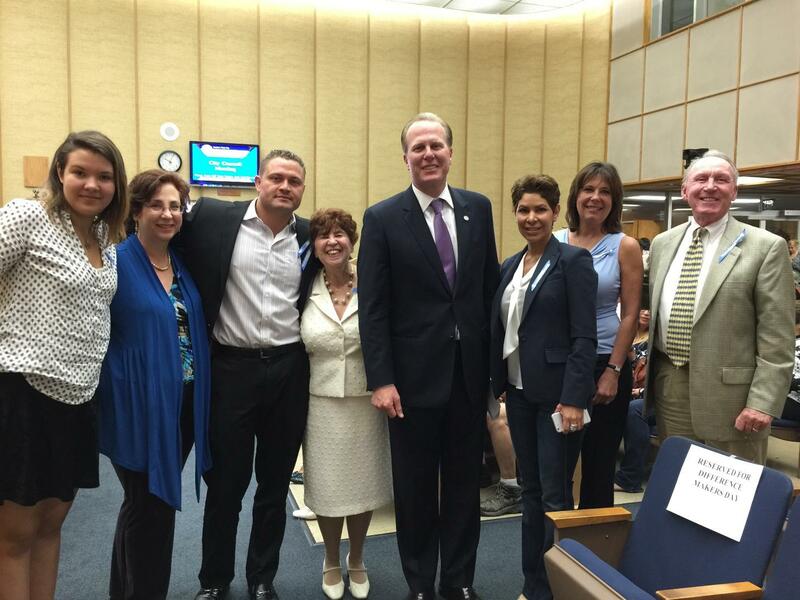 SD Mayor Kevin Faulconer joins “Grandma Sparky’s” team following receipt of Proclamation! National Movement for Youth Success. 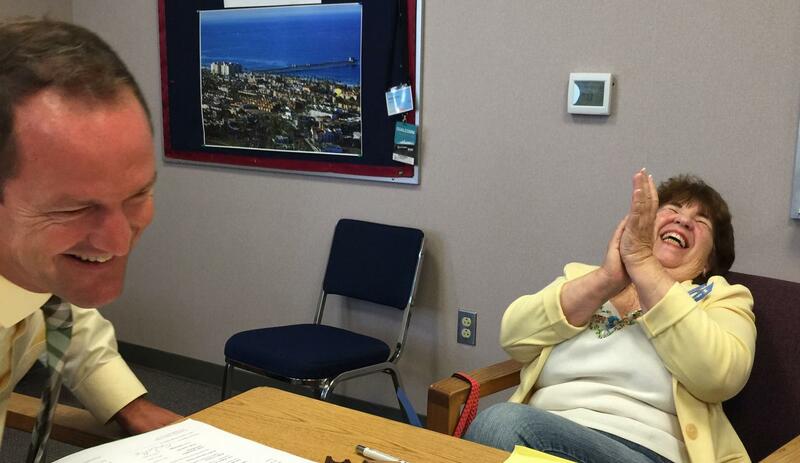 Grandma Sparky, has been a volunteer for past 7 years on the Steering Committee for Community Alliance for Youth Success (CAYS). 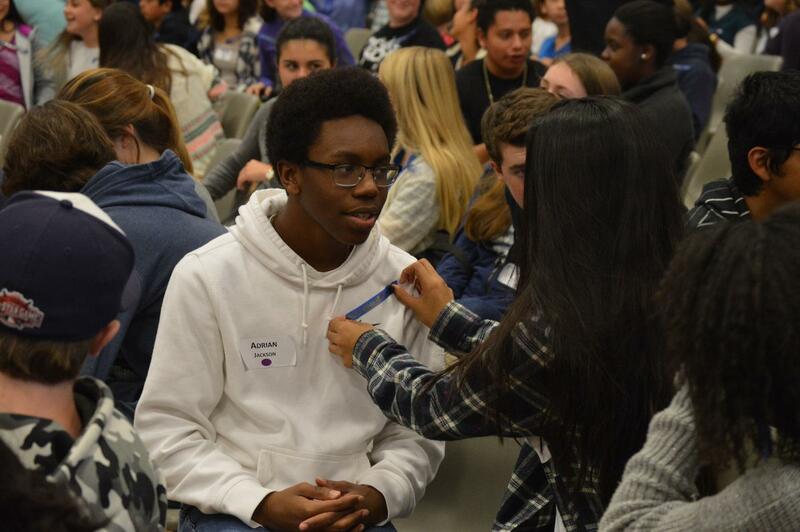 Together this awesome team of community and youth leaders produce Youth Success Week (YSW).YSW is focused on engaging communities and inspiring youth to discover their purpose and explore their success. 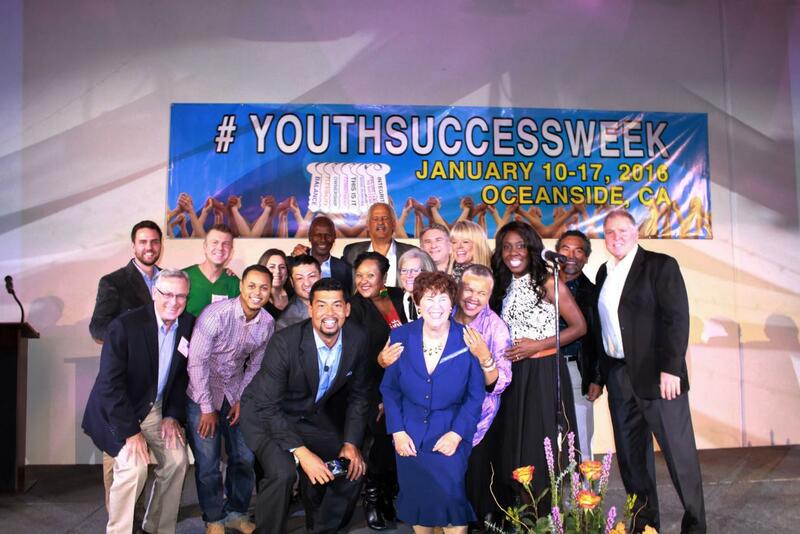 Youth Success Week is founded by Stedman Graham – American Author, Speaker and Businessman and Bobbi DePorter, co-founder and president Quantum Learning Network and president of Learning Forum International. 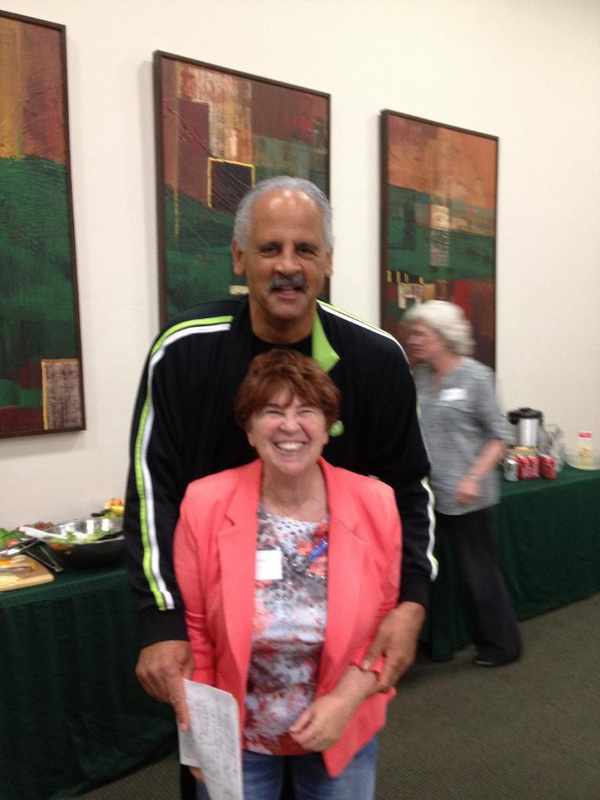 A super candid fun shot - Grandma Sparky with Stedman Graham – (Bobbi DePorter in background) at Quantum Learning Network’s building. Picture taken after one of our monthly CAYS meetings to create a duplicable model for Youth Success Week throughout our nation and world. 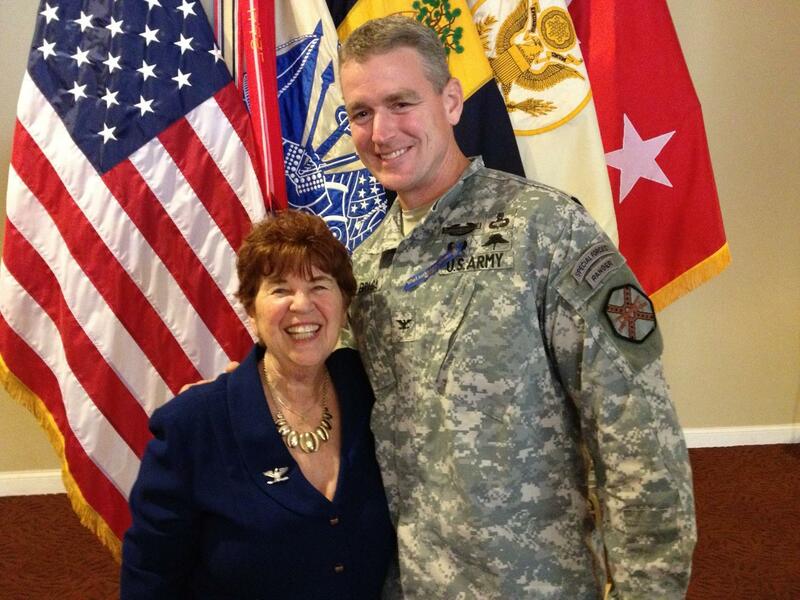 Grandma Sparky with US Army Garrison Commander –Colonel Jonathan Braga - Ft. Irwin Training Center. Grandma Sparky keynoting the US Army 50th Anniversary of the Vietnam War and Women’s Equality Day. 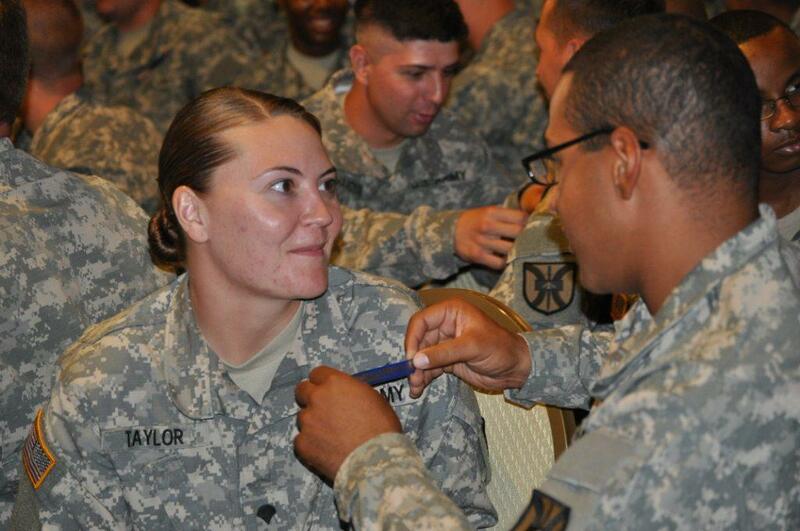 US Army Women’s Equality Day – Men and Women soldiers honor each other with “Who I Am Makes A Difference”® Blue Ribbons. 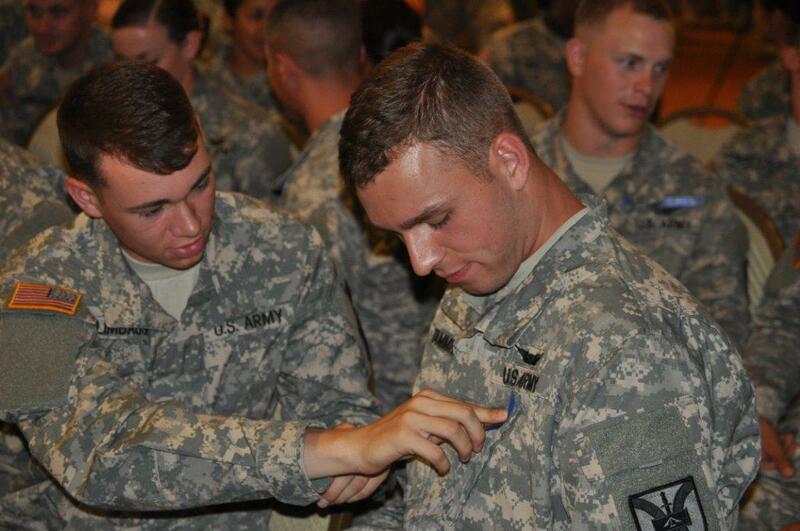 Soldiers honor each other with “Who I Am Makes A Difference”® Blue Ribbons. Many soldiers were brought to tears. They told Grandma Sparky that they will now go home and honor their wives and children. 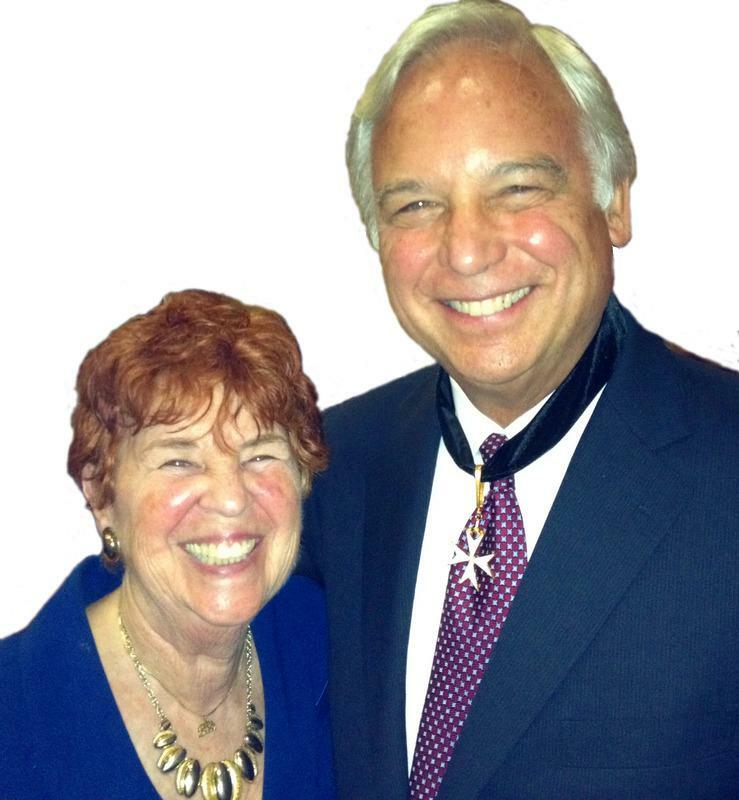 Grandma Sparky with Jack Canfield, best-selling author and coach. Founder “Chicken Soup for the Soul Enterprises & The Canfield Training Group, and author of best-selling “The Success Principles”. Because of Jack, our “Who I Am Makes A Difference”® Blue Ribbon Story was published in the “Chicken Soup for the Soul” book series which made it possible for our Blue Ribbon Message to impact over 50 million people worldwide saving lives, reducing bullying, ending violence, enhancing self-esteem and making dreams come true. 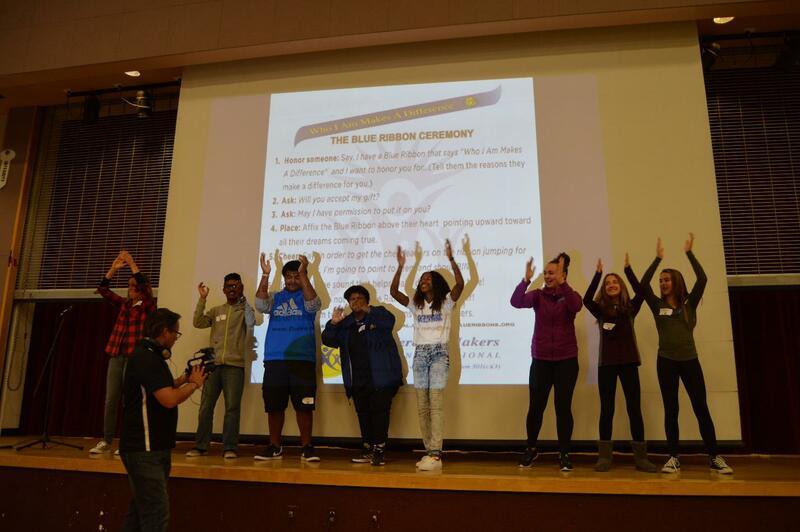 Youth Success Week “Who I Am Makes A Difference”® Blue Ribbon Assembly. 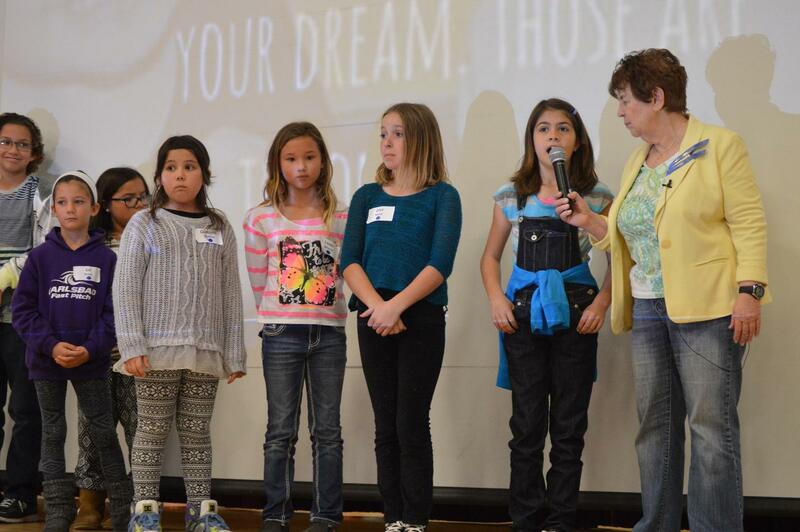 Elementary, middle and high school students stepped on stage, shared how they had been bullied. 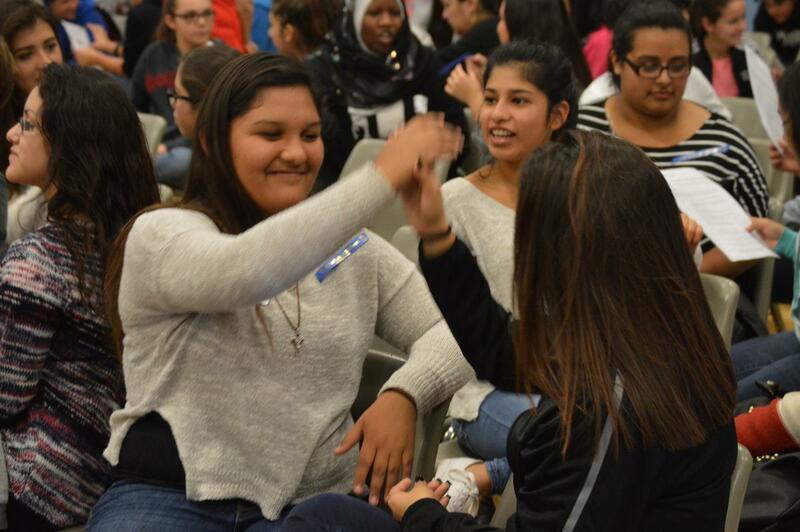 Youth Success Week. Using the 7-Step “Who I Am Makes A Difference” Blue Ribbon Acknowledgment System, Grandma Sparky combines 750 elementary, middle and high school students, showing them how they can collaborate to end bullying, eradicate violence, avert adolescent suicide, enhance self-esteem and make dreams come true in a minute or less. High school girls and boys acknowledge the worth and importance of each other, share their dreams and give them a BING!...the sound of Making Dreams Come True. 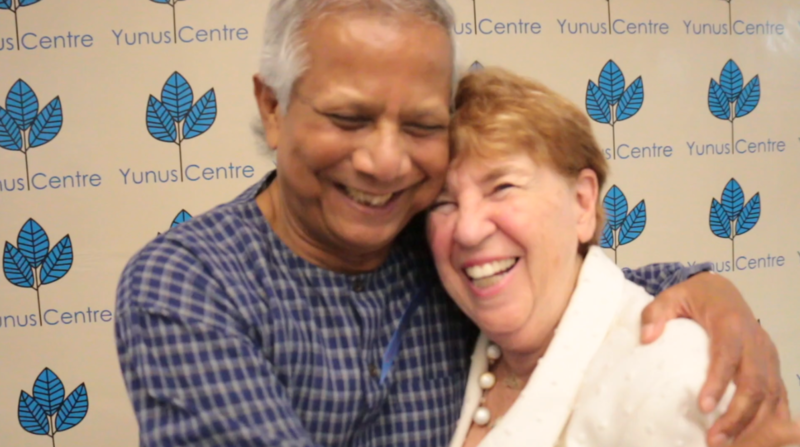 The “Who I Am Makes A Difference”® Acknowledgment System is the tool that unites humanity through the power of love. 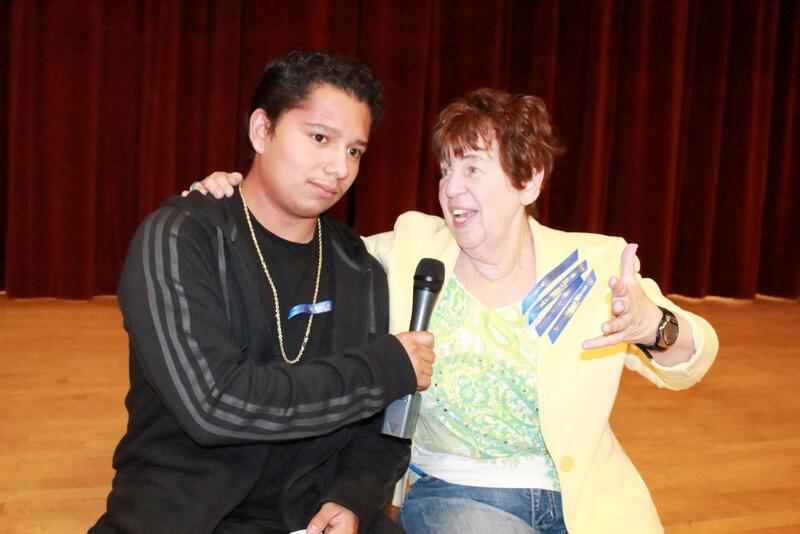 Grandma Sparky invites elementary students to step on the stage to share to 1) Talk about when they were bullied and how it has hurt them 2) Share their dreams and 3) Receive support and love from their peers. 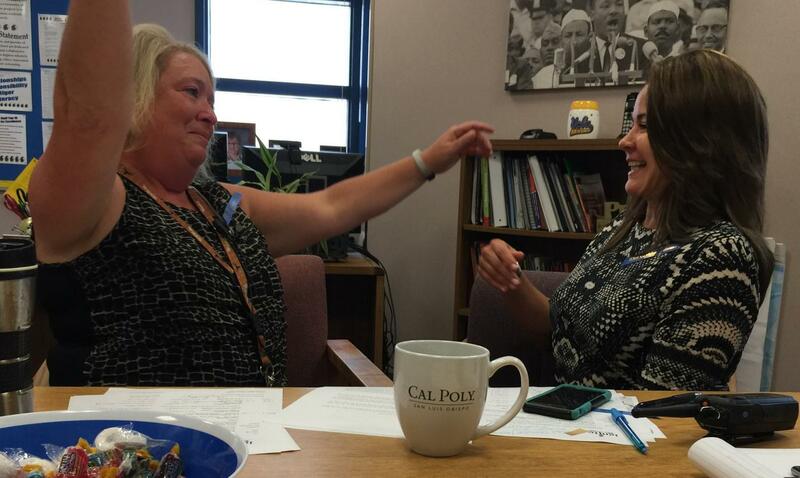 Staff at El Camino High School goes around the table honoring each other with “Who I Am Makes A Difference”® Blue Ribbon. 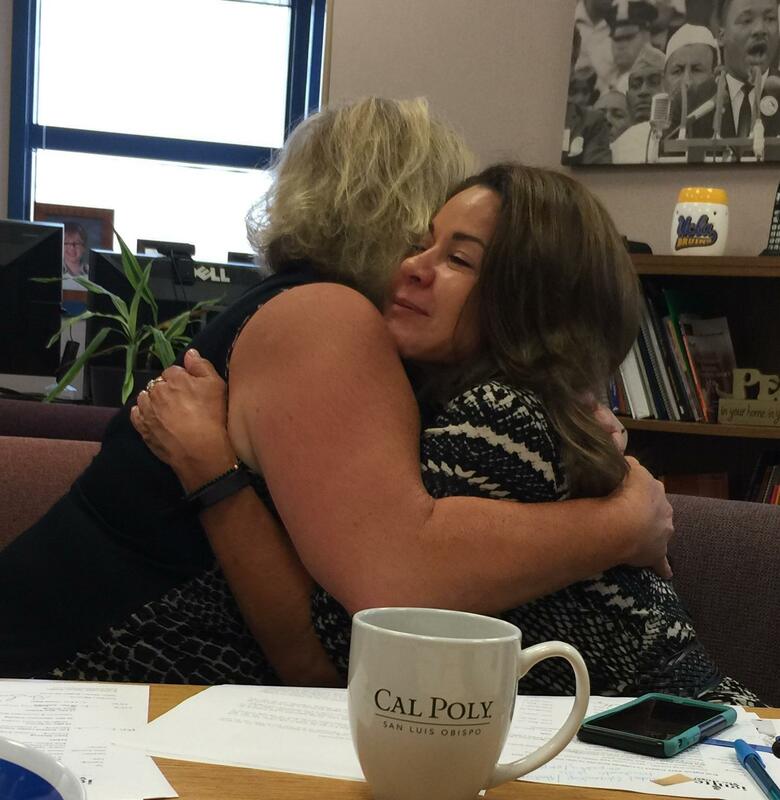 “Who I Am Makes A Difference”® Blue Ribbon honoring between staff members at El Camino High School . The Acknowledgment is fun, moving and inspiring for all. Everyone at table is listening on. 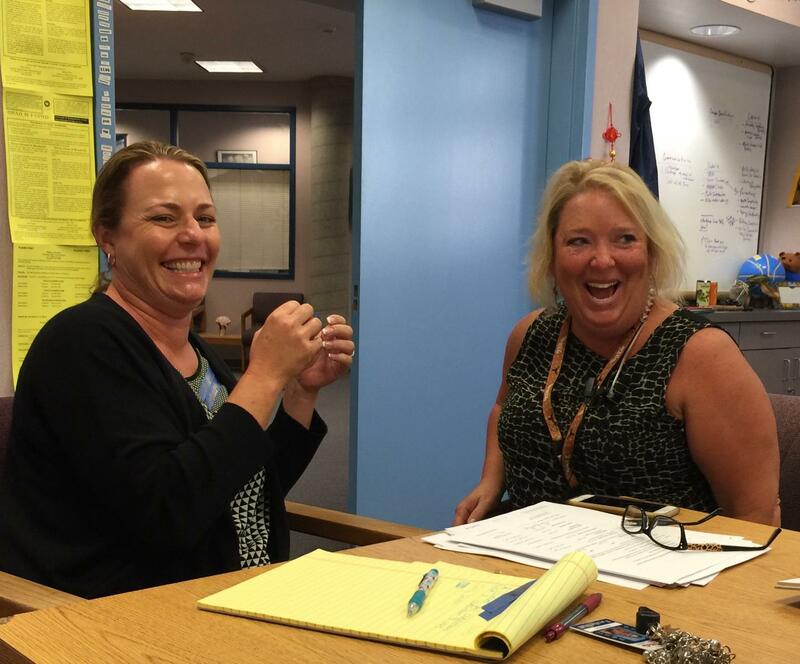 “Who I Am Makes A Difference”® Blue Ribbon Acknowledgment continues around staff table. 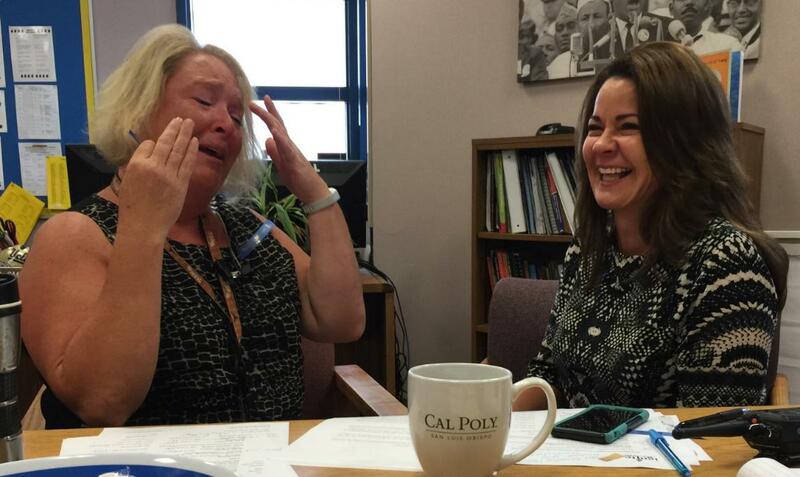 Laughter and tears of joy! 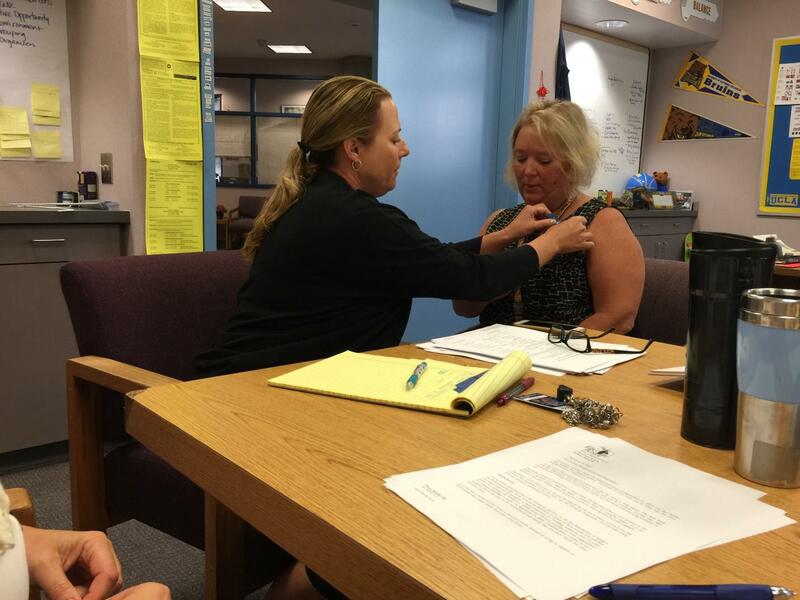 Staff members honoring and reminding each other how much they make a difference. 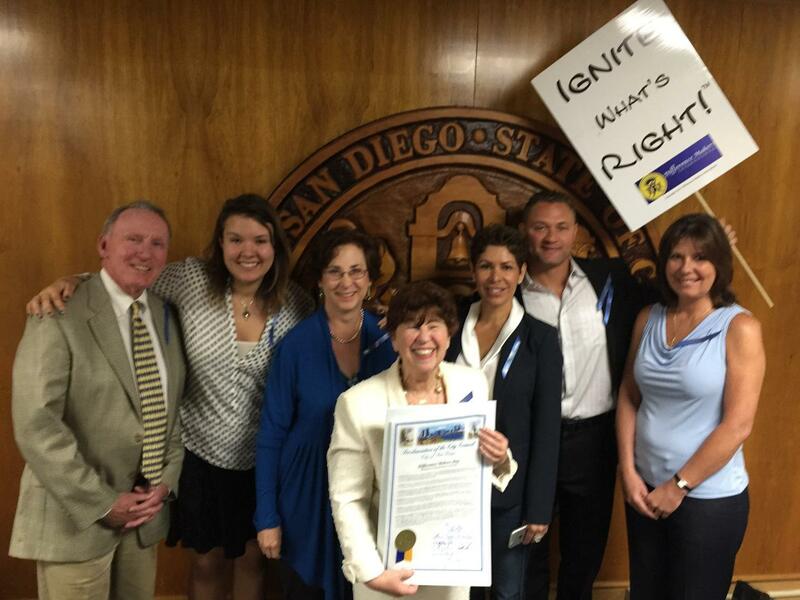 The “Who I Am Makes A Difference”® Blue Ribbon Acknowledgment brings people together. Hugs are natural. Everyone is reminded of the difference they make. 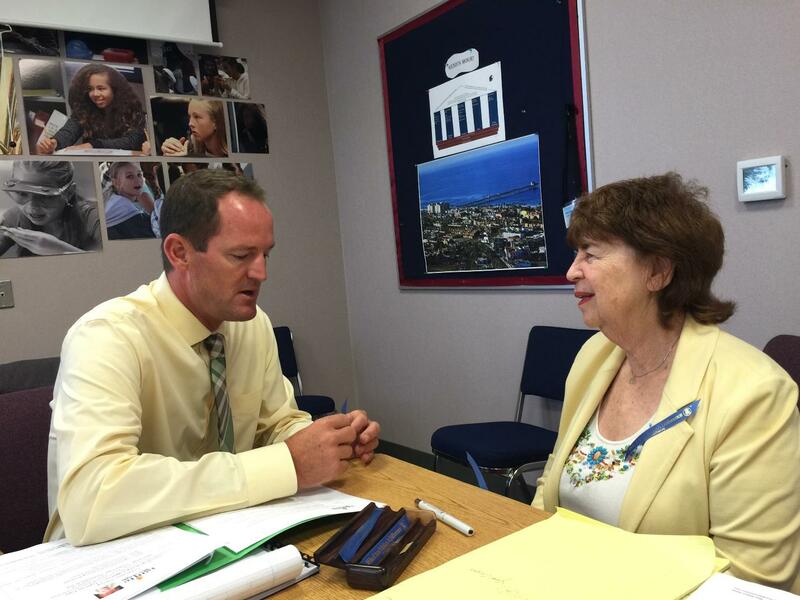 Principal Doug Kriedeman, El Camino High School, Oceanside, CA honors Grandma Sparky. 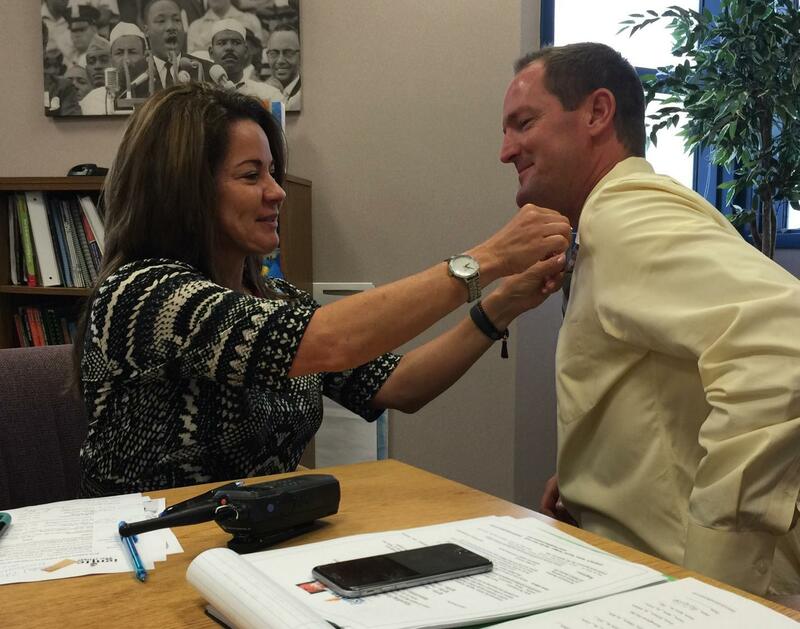 High School Principal Doug Kriedeman places “Who I Am Makes A Difference”® Blue Ribbon over Grandma Sparky’s heart. 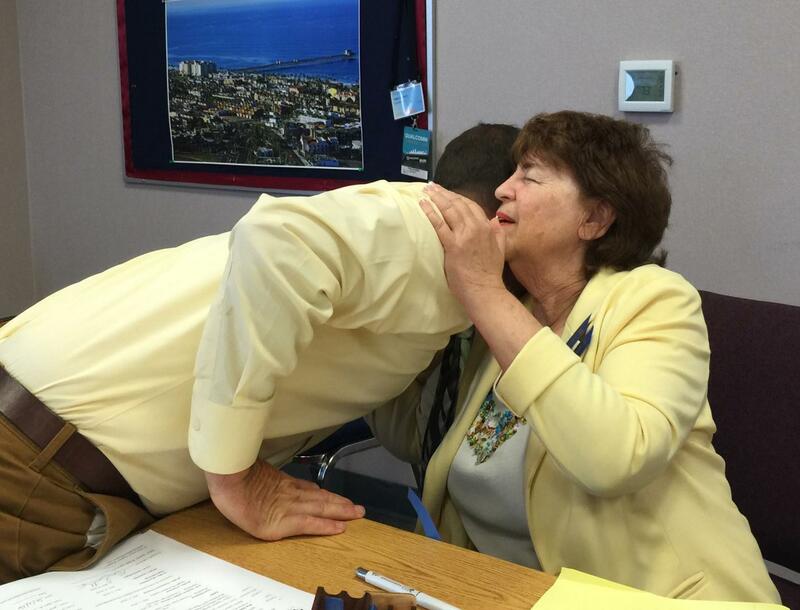 Principal Doug Kriedeman gives Grandma Sparky a loving hug! 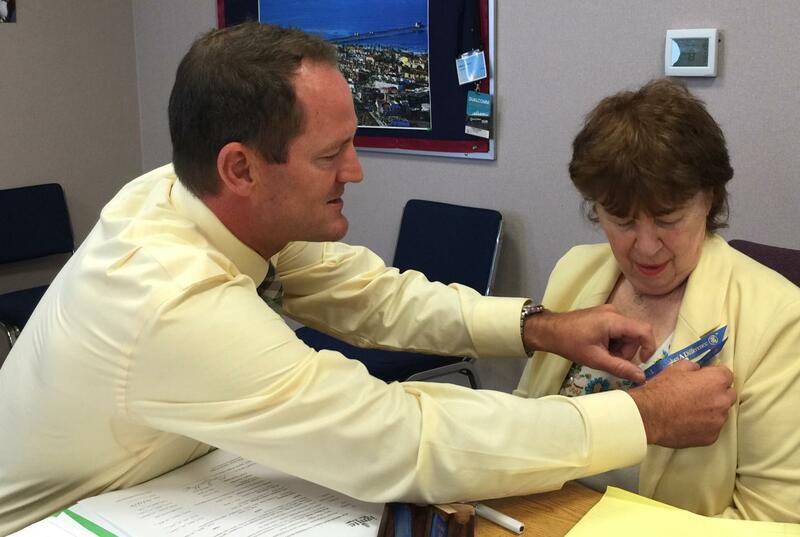 Principal Doug Kriedeman gives Grandma Sparky a BING! The BING! 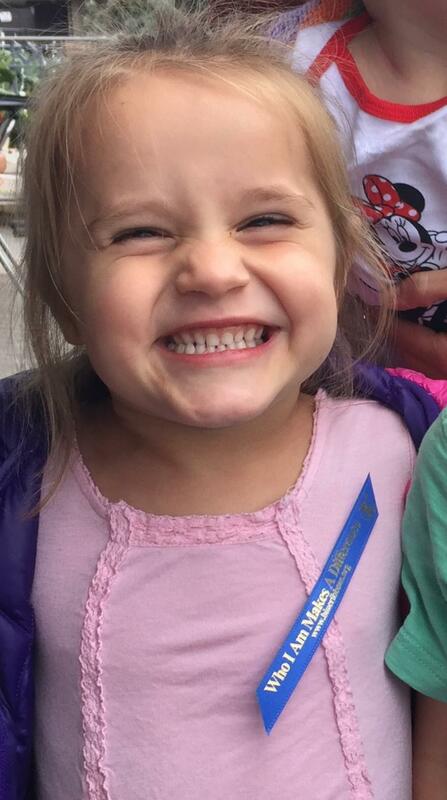 is a silly sound that makes people laugh out loud and make dreams come true! You can BRING the BING! a global movement that points at what’s working in our world, acknowledges the dreams of others and helps to make those dreams come true. www.BlueRibbonsWorldwide and jump on board.